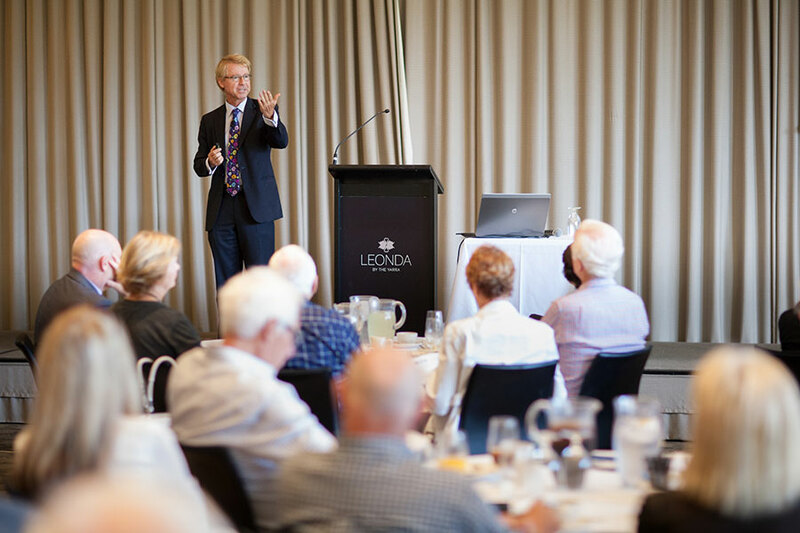 We held our second Quarterly Business Lunch for the year on Wednesday 16th March 2016 at Leonda by the Yarra. 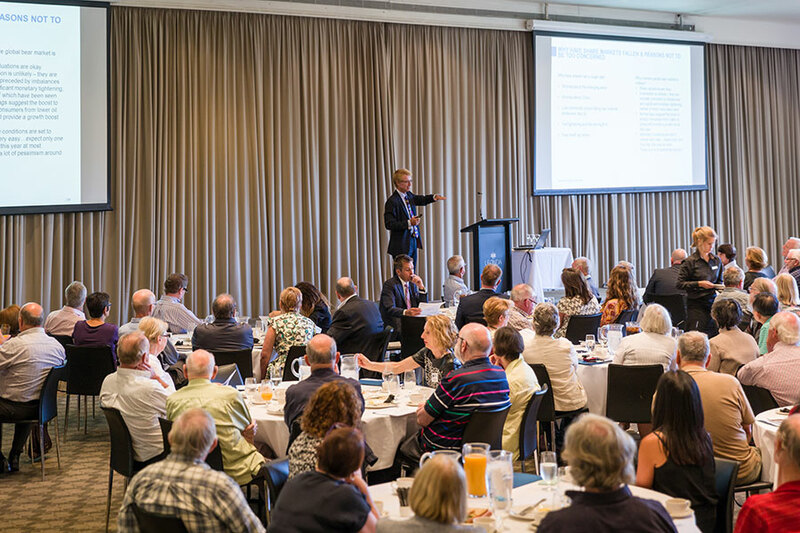 This was well attended by 148 clients and guests. Our special guest presenter was high profile economist Shane Oliver. Shane is the Head of Investment Strategy and the Chief Economist at AMP Capital. Shane has extensive experience analysing economic and investment cycles and what current positioning means for the return potential for different asset classes such as shares, bonds, property and infrastructure. Shane is a regular media commentator on economic and investment market issues and engages regularly with investors at public events and forums. With calendar year 2016 starting on an indifferent note for investment markets, Shane provided a thorough understanding of what is causing the current volatility. It has been a rough start to the year for shares – Same concerns as last year: Chinese Growth, Fed, RMB, $US and flow on to commodity prices. Short term downside risk in shares, but should provide strong return opportunity as global recession avoided. Oil in a secular downswing. Bad for producers but consumers benefit. The US Job Market is still solid – But weak global growth, slowing CAPEX & low inflation likely to constrain the Fed this year. Chinese growth has slowed but not collapsed – Stimulus measures are helping. Why a severe global bear market is unlikely? The feedback from the attendees was excellent. They thoroughly enjoyed the presentation and found it extremely informative.